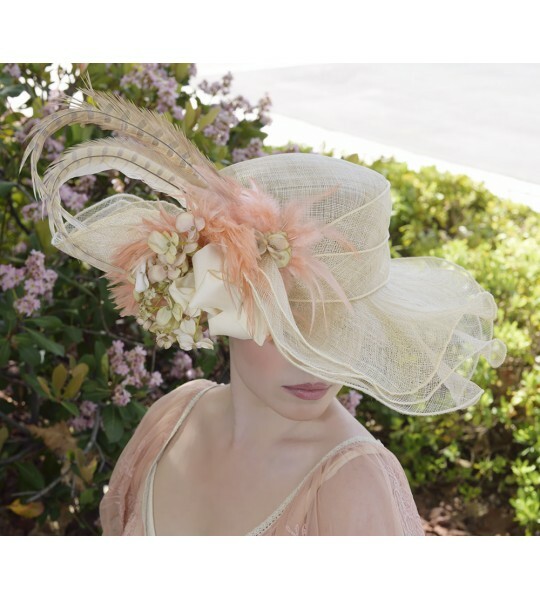 Lady Lisa Hat by Louisa Voisine Millinery. Fast worldwide delivery. Click or call 323-592-9172 for more info. Louisa Voisine: "Lady Lisa’s inspiration for this design came from non-other than the techniques we use in working with feathers. As milliners one of the most important items we use in our trim design are feathers. Hand curled and dyed feathers became the central focus of the Lady Lisa design." 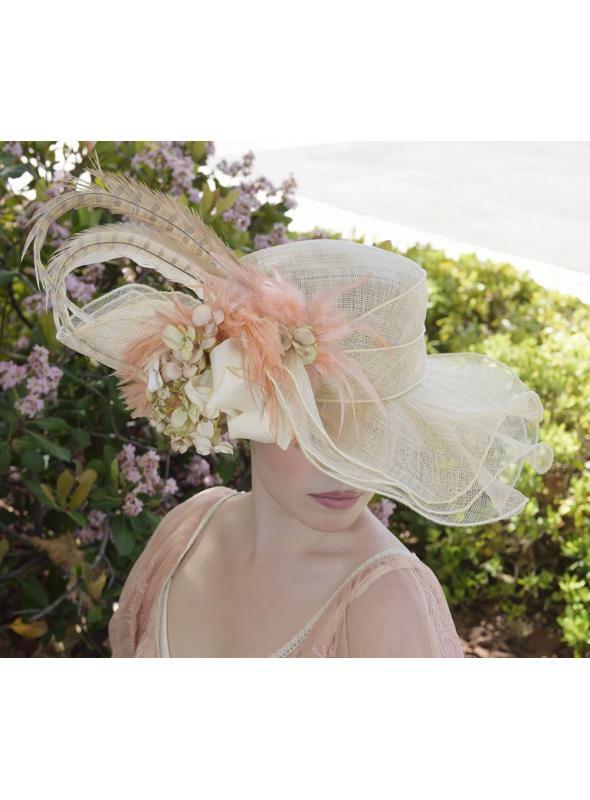 You’re sure to stand out this season when you don the incredible and detailed Lady Lisa hat by Louisa Voisine Millinery! 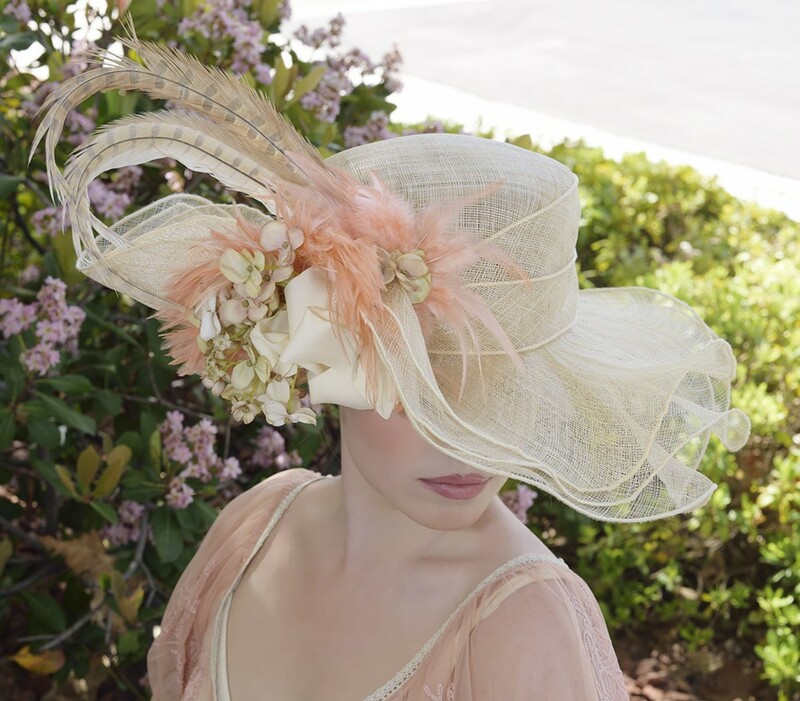 The earthy shades of the small blossoms, silky off-white ribbon and long pheasant feathers is complemented by the lovely blush tone of the feathers that add a splash of color to this hat. 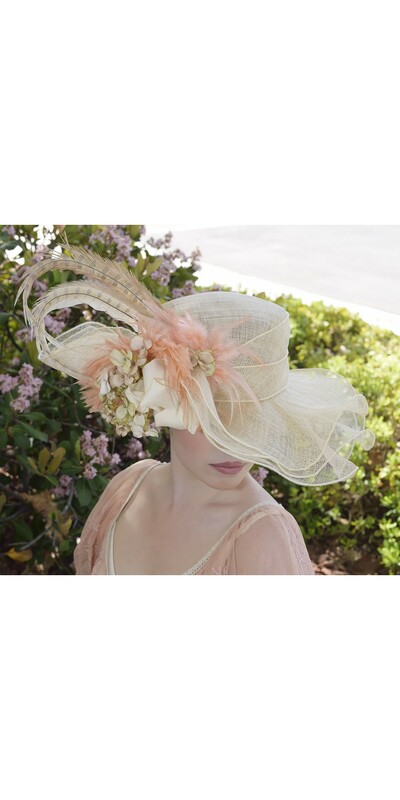 The rippled multilayered brim adds to the feminine feel of this piece.